make / get moving - a card in a box! 1. Cut a box and lid out of smooth cream cardstock. Leave the box flat until you have decorated it. 2. 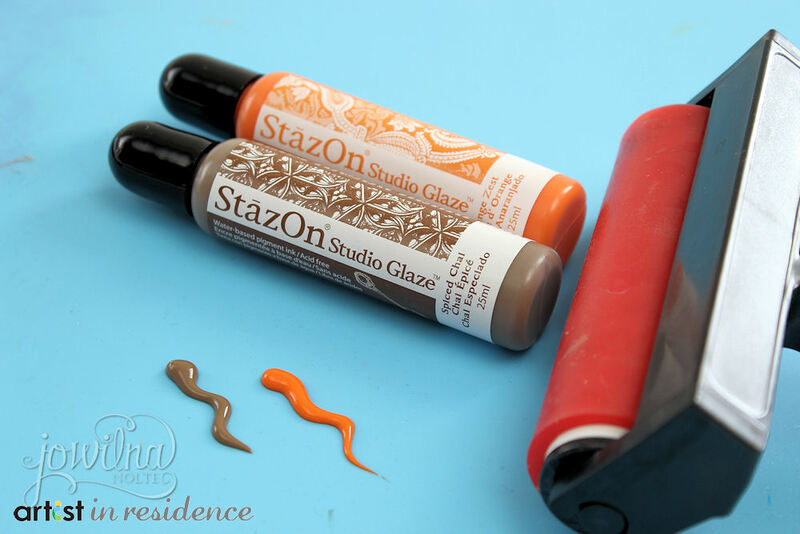 Add small amounts of StazOn Studio Glaze in Orange Zest and Spiced Chai. 3. 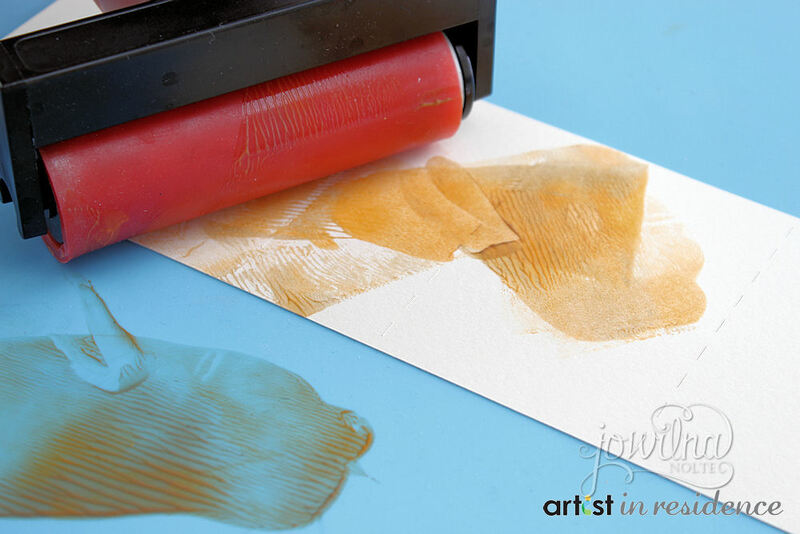 Use a brayer and roll over the two colours of StazOn Studio Glaze to lift the colour and then brayer it onto the box lid and base while it is still flat. 4. Leave the Studio Glaze to dry. 5. 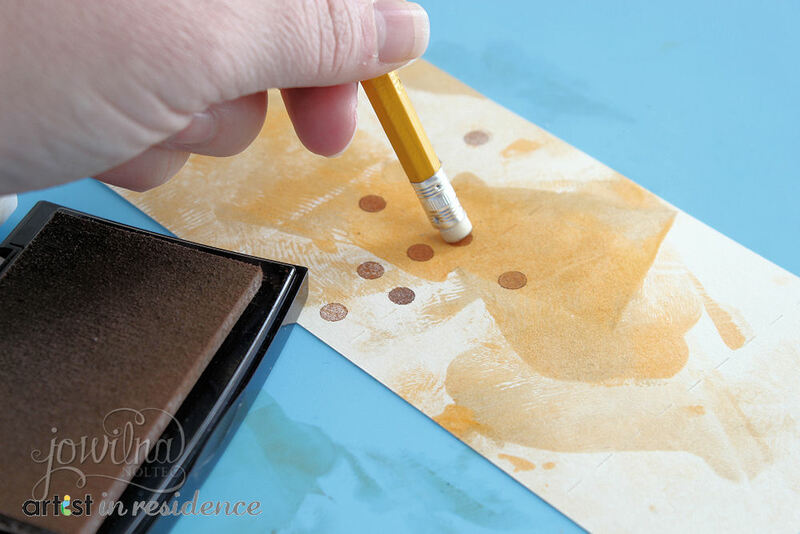 Ink an eraser at the back of a pencil using Vintage Sepia VersaFine ink and stamp circles onto the base and lid. 6. Once dry, fold the box lid and base and adhere the edges together. 7. Make a small hole in the base tray and add a handle. Then decorate the top of the box using rub-ons and embellishments. 8. Measure and fold cream cardstock to form an accordion card inside the box. 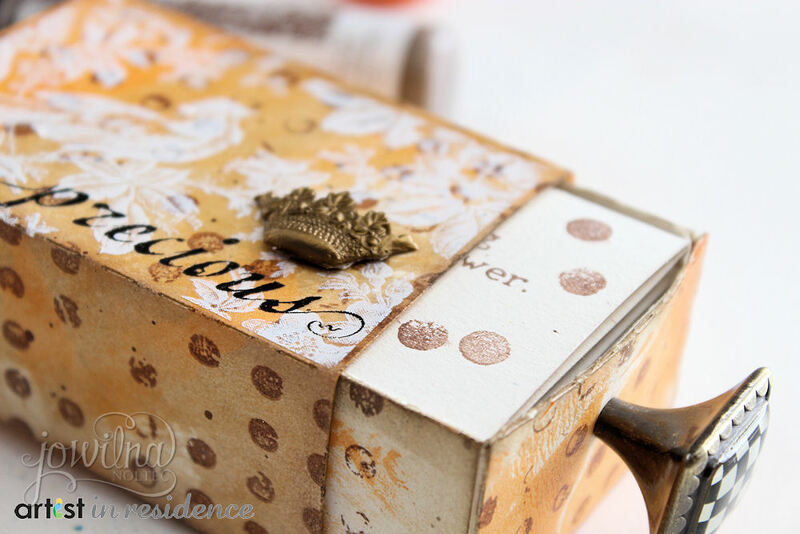 Decorate the card using stamps and VersaFine Vintage Sepia ink. Write a message inside for the recipient.